Impeccable luxury home located in Country Club III Estates. Nestled in a cul-de-sac lot, this spacious home has every luxury amenity expected for such a fine estate. Over 4000 square feet, 4 bedrooms, 4 bathrooms, large open kitchen with center island, gourmet professional cook top. Exquisite taste throughout the home, hand carved molding, imported fine tile and fixtures, custom wood work all throughout. The game room features lighted ceilings to give an outer world effect, bar, open sliding door to enjoy the back yard. The back yard is an entertainers delight. Built in BBQ area with seating located next to a relaxing gazebo area with fireplace. The pebble tech pool features a beautiful waterfall, firepit, spa, sitting area to relax and more. 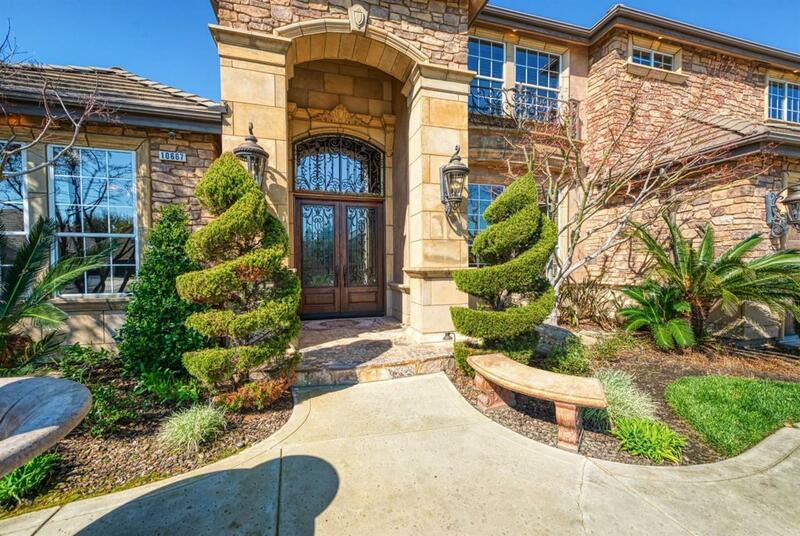 Gorgeous landscaping throughout with complete privacy. Owned solar system with near 100 panels. The master retreat is stunning and a must see! Clovis schools, close to Copper and Fort Washington Country Clubs, and more.